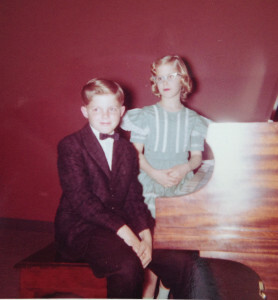 I took piano lessons for seven years when I was a kid. My teacher was old school—we were only allowed to play classical music. But of course I saved my pennies and bought contemporary songs to play just for fun. I especially loved the songs from Broadway musicals like South Pacific and The Sound of Music. But I also had fun learning to play the latest popular music of the ‘60s. 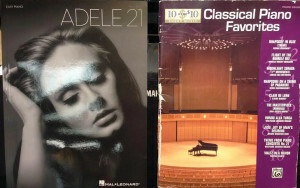 It’s too bad I don’t have any of that sheet music any more. Or the piano I learned on—the one my brother, Mike, and I played duets on when we were in elementary and junior high school. When we sold a large house in 2001 to scale down, we gave the piano to the young couple who bought the house. They had two little boys who wanted to take piano lessons, and the piano fit just perfectly in the front “parlor.” So we left it. And I haven’t had time to miss it until recently. I’ve been busy these past fourteen years since giving that piano away. First I got cancer. Recovery was swift and a few months later we sent our youngest child off to college. Empty nest. What to do? I spent the next seven years learning to write (paint) icons and teaching icon workshops and doing commissioned pieces. Finally I began to “play” around with some simple abstract pieces. But in 2006 (I know the dates overlap with the painting) I embraced writing seriously and poured myself into writing and publishing essays, and drafting novels and memoirs. This is where I am today, and it’s my one true passion. But like most folks with (self-diagnosed) ADD, I’m restless. And I need a “fun” creative outlet as a break from the writing. Listening to some piano music on Pandora recently, I began to miss playing and started considering how to get the music back into my life. I mentioned this to my husband and since my birthday is coming up, he agreed that I need an electronic keyboard. (We’re back in a large house, so it’s tempting to get a real piano, but we’re not looking for that type of investment right now.) So I started researching and asked some musician-friends for advice. 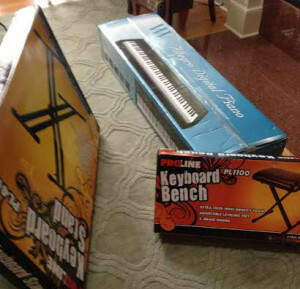 Then I headed out to Guitar Center and I’m already back home with my new Williams Allegro keyboard, stand, bench, and two books of piano music! Can’t wait to get it set up! 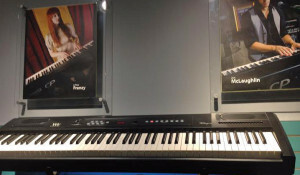 The analysis of musical passages and learning the theory involved is another mental exercise when you play piano. It’s brain food at its finest. Chords, melodies and changes are all rooted in complex musical theory. It pays dividends to learn and understand how music is put together. 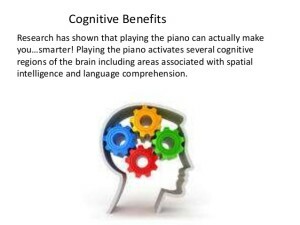 Who knew playing the piano was brain food? I just thought it was fun! I know the gift of music. Until a year ago, I kept a piano upstairs and a keyboard down in my studio. Of course, the piano is still here, but my granddaughter has the keyboard now as I am giving her lessons! Joy, joy, joy! Happy, happy, happy for you! Have fun!